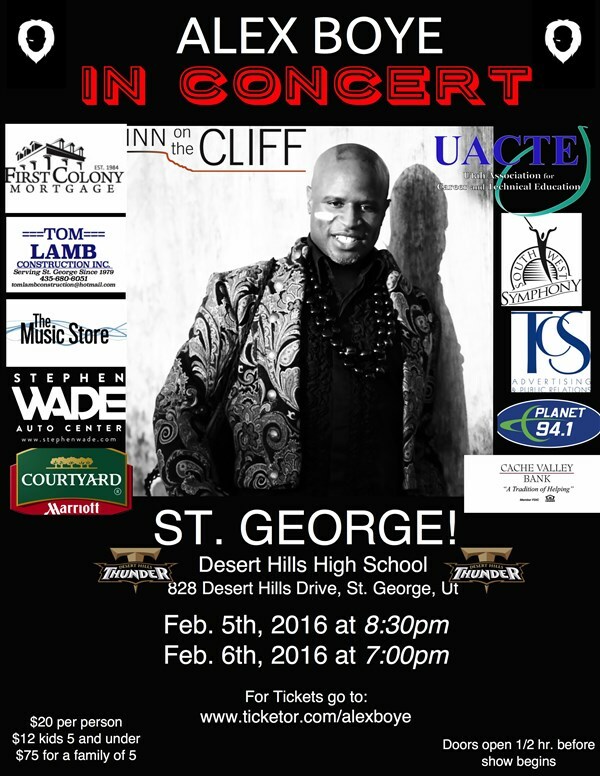 Southern Utah Attractions: Alex Boye in Concert! Alex Boye is coming to St. George! Don't miss your chance to see him in concert at Desert Hills High School on February 5th or 6th. I love his music! This would be a great concert.